Teardrop camper plans are super helpful if you’re interested in building your own. There are several options out there. Some are step by step guides and others are just basic plans. Some people don’t even bother with building plans—they just build their own creation. But this page is dedicated to those who want a plan to follow. It can be comforting, especially if you’re an experienced carpenter, to have a blueprint to follow with materials lists and the whole nine yards. So let’s jump right in and check out some places that offer teardrop trailer plans. Kuffel Creek Press is a publishing company that was formed in 1998 by Kevin Hauser. He used to be a state licensed contractor and electrician. 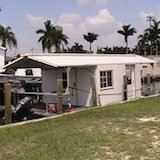 He has many loyal and satisfied customers that have gone as far as buying their plans, building their own teardrop, and sending testimonials along with their finished product over to Kevin. 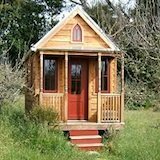 They offer plans for an 8’ cubby with no welding required. This is a great build for a first timer (like me). Estimated costs to complete is about $2,000. Take a look at some of their happy customer’s builds over at Kuffel Creek. 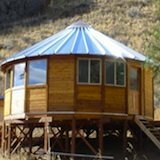 When you’re finished there you can visit their teardrop camper plans page here. In the plans page you will also learn about their 10’ comet, teardrop trailer component plans, and more. This is one of the best resources out there for do-it-yourselfers. You will find plenty of plans, some of them free, 3d designs, and a forum to talk about everything related. I’ll say no more, visit their website here and be sure to save it! 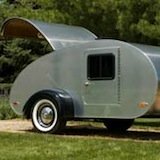 Tiny Tears is another great resource for free teardrop trailer plans. They provide scans of old how to build a teardrop plans by magazines like Popular Science Monthly, Mechanics and Handcrafts Magazine, Modern Mechanix, Mechanix Illustrated, and more. This is another great website to save. This resource has over 30 different CAD teardrop designs. From ultra light 4 x 8’s to 12 foot long family compact family campers.